Lots and lots of words have been posted here… so in this moment, I’m going to pause, take a breath, and share with you an image. 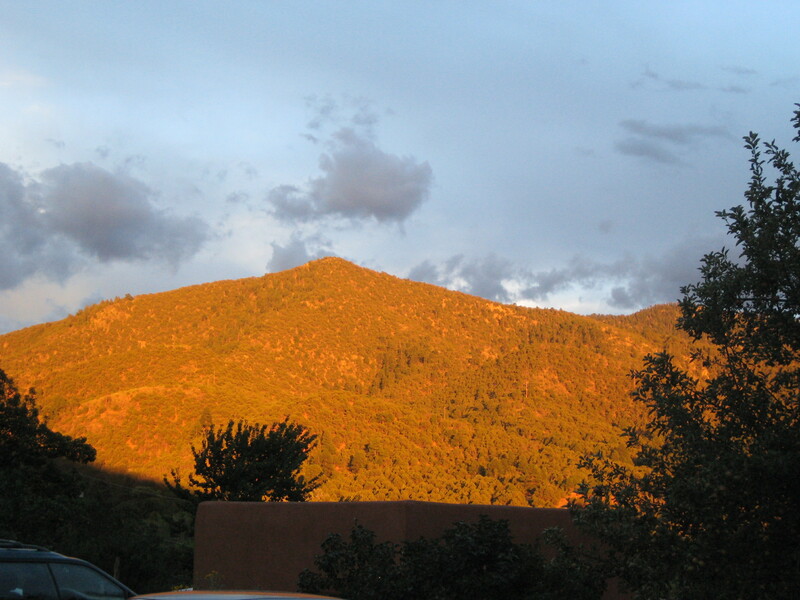 This photo was taken on a recent autumn evening, right outside the front door of my casita (little house) in Santa Fe, New Mexico. The light turns a wonderful golden shade here at twilight… and the mountain you’re looking at is called Picacho (which means “peak” in Spanish). I feel pretty blessed to live here.